Victoria Snee with her husband, former Fox4 reporter Jeff Crilley, and with Mix 102.9 morning radio partner Tony Zazza. Victoria Snee, longtime entertainment/lifestyles reporter at KDAF-TV (Channel 33), resigned Wednesday to devote her full energies to an ongoing morning radio show at KDMX radio (Mix 102.9 FM). "It's been tough juggling two jobs," Snee said in a telephone interview Thursday. Since February, 2007, she's been co-host of KDMX's The Morning Mix with Tony Zazza. Snee said her decision to leave Ch. 33 after nine and a half years was hastened by new news director David Duitch's concern that she couldn't handle both positions. "He wanted a more full-time commitment to his news operation, and he didn't feel like I was going to be able to do that working two jobs," she said. "So he basically asked me to choose, and that's what I did." "I think that's correct," said Duitch, a former WFAA8 news director who officially joined Ch. 33 just four days ago. Snee said she left Ch. 33 on "very amicable terms with (veteran general manager) Joe Young. He's been great to me and great to work for. He gave me a big hug." Her husband, Jeff Crilley, recently left a full-time reporting job at Fox4 to start up Real News PR, which he describes as a "new breed" of public relations firm. Ch. 33, home of The CW network, also is undergoing changes. The nightly 9 p.m. local newscast lately has dropped "CW" from its title and now is called "KDAF 33 News." The station also is developing a morning news program that tentatively will be launched sometime next year unless plans fizzle. Chicago billionaire Sam Zell, new owner of Tribune's television stations, including Ch. 33, has said that The CW's target audience of 12-to-34-year-olds is not a good fit for stations making heavier investments in local news. Younger viewers generally are averse to watching TV news of any sort, unless it's the sendups on The Daily Show or The Colbert Report. KXAS-TV (NBC5) has tapped Chicago-based cable "superstation" WGN-TV for its new vice-president and general manager. 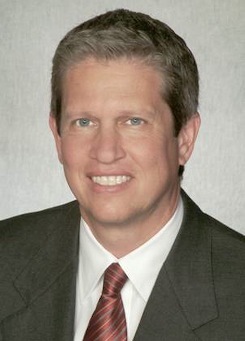 Thomas Ehlmann had held the same titles since 2004 at Tribune-owned WGN, where he arrived after four years of running KHWB-TV (now KHCW-TV) in Houston. The station is best known as the longtime telecaster of Chicago Cubs games. The appointment was announced Tuesday by Larry Wert, president, central & western region, NBC Local Media. KXAS is one of 10 stations owned and operated by NBC. Its D-FW home base is the country's fifth largest market. Chicago is No. 3, behind only New York and Los Angeles. Ehlmann replaces Tom O'Brien, who in April became president and general manager of NBC's New York flagship station, WNBC-TV. In his new capacity at NBC5, Ehlmann will report to Wert. "He is an innovative leader who has been a strong competitor in the Chicago market," Wert said of Ehlmann. "We're thrilled to have someone of Tom's caliber on our team, returning to Texas to lead our Dallas operations." Ehlmann has work to do, particularly at 10 p.m., where NBC5 ran third in the May "sweeps" ratings period in the total homes Nielsens and barely nipped second-place CBS11 among 25-to-54-year-olds, the main advertiser target audience for news programming. WFAA8, which NBC5 had dominated at 10 p.m. for a five-year period through November 2006, is now the clear ratings leader at 10 p.m. The University of Arizona graduate is married with two children and plans to relocate to Dallas with his family, NBC5 says. Ehlmann also has been general manager at KOVR-TV in Sacramento and KDNL-TV in St. Louis. 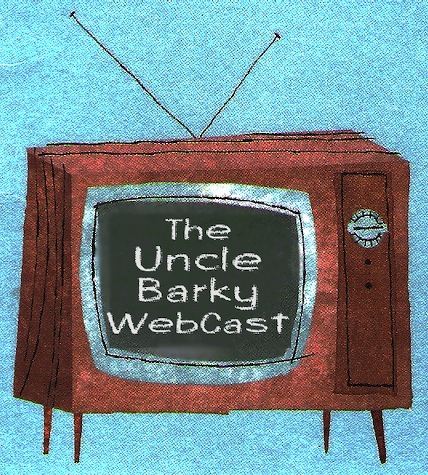 Presenting the inaugural "Uncle Barky Webcast," featuring your friendly content provider and guests in a variety of video vignettes and settings. This new venture is in partnership with D-FW radio legend John Rody of KZEW-FM "Morning Zoo" fame. In recent years, the Texas radio Hall of Famer has been running his own Irving-based Webcasting Networks. com. 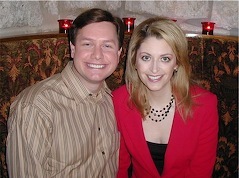 The first Uncle Barky effort takes us to the Colleyville kitchen of former NBC5 meteorologist Rebecca Miller, whose whereabouts and future plans have generated more emails and comments on unclebarky.com than any other North Texas media personality. While waiting for her non-compete clause to expire in early September, she's been busily baking gourmet cakes and organic dog cookies. This first Uncle Barky Webcast runs a little more than 15 minutes, roughly twice as long as typical future webisodes. Miller introduces viewers to her two dogs, talks about her future plans and then assembles an impressive German chocolate cake while your host tries to gamely play along. We've already recorded four future Uncle Barky Webcasts, and plan to roll them out once a week. They're all completely unscripted, and your go-to address for all current and past episodes is webcastingnetworks.com/unclebarky. So we'll see how this all goes. If you like them, please spread the word. I'm no Johnny Carson, but hope to at least rise to the level of Bert Convy. After re-upping for an extra month, NBC5 sports reporter/anchor Derek Castillo will say goodbye to D-FW viewers on this Sunday's 10:30 p.m. Sports Extra. Otherwise his official last day at the station will be Aug. 1st, and "I will continue anchoring" until that time, Castillo said in an email. As previously reported on unclebarky.com, Castillo had planned to leave NBC5 at the end of June. But he subsequently decided to extend his contract for an additional month. "I just couldn't do another contract working weekends," he said in an interview last April. "I owe it to my wife and (eight-year-old) son now to be there more for them. Having a child really changes things." 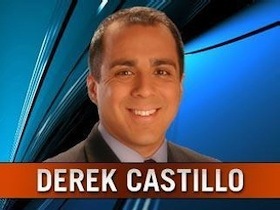 Castillo joined NBC5 in July 2001 from Philadelphia's WCAU-TV. His live "Big Game Friday Night" reports from various high school football stadiums became one of the station's most popular sports features. NBC5 has named Matt Barrie from Columbia, S.C.'s WLTX-TV as Castillo's replacement. He joined featured sports anchor Newy Scruggs Thursday night in Oxnard, CA as the Dallas Cowboy arrived for training camp. Castillo came to NBC5 after John Rhadigan left to join Fox Sports Southwest, where he's become a mainstay. A berth at FSS, should a position open, would seem to be perfect fit for Castillo as well. Add CBS11's Brooke Richie to the ballooning list of D-FW television reporters with exit strategies. 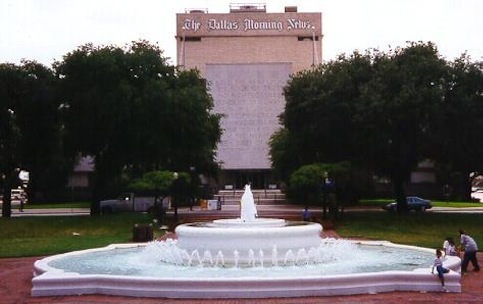 The reporter's last day at the station will be on Aug. 4th, assistant news director Sarah Garza says in a memo sent to staffers and obtained by unclebarky.com. Richie, who joined CBS11 in early 2005 from KENS-TV in San Antonio, is moving to Colorado to join her husband as he starts a new career in Denver, Garza says. "We tried to sabotage the sell of their house here in town as long as we could, but the damn thing sold so she is heading west." Garza otherwise praised Richie as a "huge asset to our newsroom. Her hard work and excellent attitude will be sorely missed." Richie is a graduate of Duke University and the Columbia School of Journalism. She also has worked at WBZ-TV in Boston and WIVT-TV in Binghamton, NY. A small village full of anchors and reporters have left D-FW stations this year, both voluntarily and involuntarily. My latest "Media Matters" article in D CEO magazine details many of these departures. It was written well before CBS11's Tracy Rowlett and Julie Bologna announced their exits while anchor Kenneth Taylor was informed that his contract isn't being renewed. Fox4 interviewed a possible replacement for weathercaster Maria Sotolongo Monday. Her name is Katrina Voss, and you might say she's a little different. Monday's D-FW Nielsen ratings also are in the house. NBC's Deal Or No Deal, already served up in mass quantities on the network's prime-time schedule, will invade daytime in early September with new half-hour episodes hosted by Howie Mandel. In D-FW, NBC-owned KXAS-TV (Channel 5) will air back-to-back Deals from 2 to 3 p.m. weekdays, beginning on Sept. 8, vice president of programming Brian Hocker said in an email. Being written off is Crosswords, which premiered last fall after being developed by the late Merv Griffin. The top prize on the daytime Deal will be halved to $500,000 while the number of sealed briefcases drops from 26 to 22, NBC Universal says rather deep into its press release. Also of note, the Monday, July 21 episode of Food Network's most popular show, Unwrapped, will spotlight Mission Foods of Irving. Host Marc Summers will visit the company's North Texas plant to show how the company makes its tortillas and chips. Show time is 8 p.m. (central). It's official. As rumored, CBS11 early morning meteorologist Julie Bologna is leaving the station after four years to rejoin WPXI-TV in her hometown of Pittsburgh. She'll be the featured forecaster on the station's 5 and 10 p.m. weekday newscasts, beginning in September. 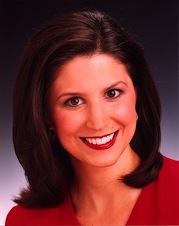 Bologna had spent five years at WPXI before joining CBS11 in July 2004. Over those years, she had stayed in contact with management at several Pittsburgh stations. "There have been talks with all of the stations since I left to see if I was interested in coming back," Bologna said in a telephone interview early Friday evening. "And so when it really became a strong interest, I called them. For me it was just a good opportunity (at WPXI). I really thought long and hard and took the best one. They're all wonderful news organizations . . . I'm definitely excited to go back to WPXI." Bologna, 36, declined to specify her reasons for leaving CBS11. But she noted that her parents still live in Pittsburgh, and that home ties are more important now that she's the mother of two children, ages two and four months. Her husband of almost 10 years is a native Texan. "I loved working at CBS11," Bologna said. "I have a lot of wonderful friends there that I'm really going to miss." CBS11 news director Scott Diener, in a memo to station staffers, said he has "mixed emotions" about Bologna leaving. "While we hate to lose someone of Julie's talent, knowledge and wonderful personality, I am happy because she gets to return to her hometown in a very prominent role," he said. "I know Julie was loved in Pittsburgh when she was there." Bologna said she doesn't yet know when her last day at CBS11 will be. The most likely in-house candidate to replace her is meteorologist Jeff Jamison. Will you be drawing a blank? TXA21's prime-time newscast literally will be a turnoff for roughly 15 seconds next Wednesday (July 23). Sometime between 7 and 9 p.m., engineers will disable the station's analog transmitter in a test to see if you're ready for the transition to digital TV on Feb. 17 of next year. "If your set goes dark during that time, you will know that you still need to take action" before that date, senior vice president and station manager Gary Schneider says. 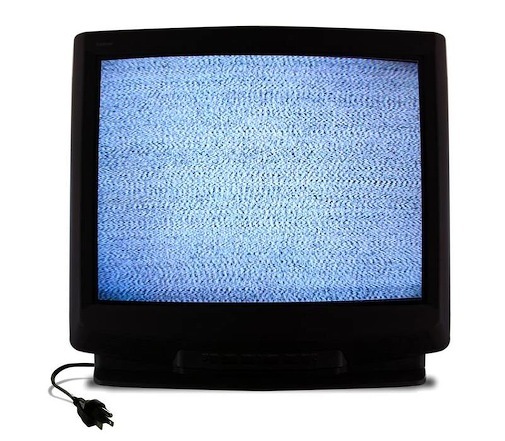 You'll draw a blank if your TV isn't hooked to a cable or satellite service or if you don't have one of those supposedly discounted digital converter boxes that TV stations across the country have been flogging. They're understandably concerned. A sizable number of viewers still don't subscribe to cable or satellite services. And many who do have just one or two main hookups, with TVs in bedrooms and kitchens the most likely to be going without. That could make the early morning local news programs particularly vulnerable. Raise your hand if you tend to watch -- or only hear -- them while getting ready for work or eating breakfast. The switchover to digital, which had been delayed several times, is mandated by the Federal Communications Commission. This time they mean it. Your friendly content provider's latest bi-monthly "Media Matters" article for Dallas CEO is on the growing number of reporters and anchors who are leaving local TV news for other pursuits. And it was written well before CBS11 anchor Tracy Rowlett made his big move late last week. Anyway, it's "sparked a real dog fight" in the on-line comments section, says a post on FrontBurner.com by esteemed Dallas CEO editor Glenn Hunter. So gee, I musta done good. Here's a link if you'd like to read both the Dallas CEO piece and its postscripts. Also, the latest D-FW Nielsens highlight Ranger Josh Hamilton's homer-palooza at Monday's All-Star game festivities. Meant to get to this earlier, but that pesky Tracy Rowlett/Shale.TV story kept getting in the way. Anyway, Dallas Observer writer Richie Whitt's cover story on deposed "Ticket" radio personality Greg "The Hammer" Williams is brilliantly composed and researched. It may well be the best media piece ever written in this market. A masterpiece from the superb open to the symmetrical close. Get yourself a hard copy of The Observer if they're still to be found. Or read Whitt's work online here. But by all means, take a look. Also in Observer-land, the always entertaining Robert Wilonsky got Rowlett to say "vajayjay," and I didn't during my earlier phone interview with him. My weak defense is that I was rushed for time Thursday morning due to a personal matter that didn't involve my privates. Unclebarky.com did, however, fill in the blanks on that particular story during an earlier dispatch. Rowlett was referring to a ratings "sweeps" piece by his own station, which he's leaving after the Friday, July 11th 5 p.m. newscast. 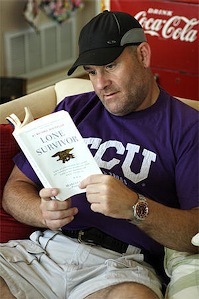 And the "vajayjay" rejuvenation story focused on the intrepid doctor wife of WFAA8 anchor Jeff Brady. Enjoy if you'd like, but you'll have to scroll down a bit after clicking. First jaws dropped. Then the jabs and jokes started piling up. "Shilling for Shale." That one came early and often. "McShale's Navy." Now that's funny. Simply put, perception rules right now, with benefit of the doubt a distant second in the case of D-FW anchor dean Tracy Rowlett throwing in with Chesapeake Energy Corporation on a "unique online video channel" that will be dubbed Shale.TV. It's not an overstatement to say that Rowlett has been the reigning Walter Cronkite of D-FW television news during his almost 35 years in this market. That will come crashing to a halt on Friday (July 11) when he makes his last appearance at CBS11 as co-anchor of the station's 5 p.m. newscast. A "retrospective" on his career also will be included. Seems like old times already. Shale.TV supposedly will be an objective online forum for news about the continued development of the North Texas Barnett Shale and "other natural gas plays in the United States," as Chesapeake puts it. Rowlett, the anchor and managing editor, is being joined by two other veteran journalists with distinguished track records. John Sparks, his former colleague at both CBS11 and WFAA8, has been named senior producer. And Olive Talley, who reported for The Dallas Morning News before becoming a prime-time network news magazine producer, is Shale.TV's incoming executive editor. All have taken pains to emphasize that they'll be beholden to no one in their efforts to provide unfettered objective coverage on natural gas production. Sparks even has his own one-liner for naysayers. "If Britney Spears were drilling naked for gas, they'd cover it," he says of the depths to which current-day local and network newscasts have sunk. Rowlett says that Chesapeake is merely the sponsor of Shale.TV, not the judge and executioner. "There's nothing truly different about having a sponsor in news programming," he earlier told unclebarky.com. "I really won't be answering to Chesapeake. They have already said we'll have full editorial control." Yes, sponsorship is nothing new. It dates all the way back to NBC's first national newscast, John Cameron Swayze's Camel News Caravan, which premiered in 1949. But anchorman Swayze's 15-minute program wasn't solely devoted to the pros and cons -- if there were any at the time -- of cigarette smoking. Nor did Camel pay his salary. So what Rowlett and his colleagues are doing in fact is very different and problematic. The burden is solely on them to prove they won't "owe their souls to the company store," as Tennessee Ernie Ford used to sing in the mid-1950s during the waning days of the Camel News Caravan. Longtime investigative reporter Robert Riggs, who worked with Rowlett at WFAA8 and then CBS11, says he also was "approached but never entered into a discussion" about joining Shale.TV. In an email sent to unclebarky.com and radio station KTCK-AM ("The Ticket"), Riggs said that Chesapeake is "trying to buy good will. Rowlett lends them great credibility with the public." Chesapeake already has the upper hand on competitors via a saturation commercial campaign headed by actor Tommy Lee Jones. Its half-hour "Citizens of the Shale" infomercial also is in regular rotation on North Texas television stations. "The advertising comes at a time when the stations have been rocked by the loss of car dealer ads -- about 40 percent of local station revenue," Riggs says. "The dollar value of the ad blitz also means that the news stations are unlikely to take a critical look at the drilling, environmental impact and impact on water resources at the risk of alienating a deep-pocket advertiser at a time when ad dollars are lean." I guess we'll see about that. For now, D-FW stations and many others around the country seem more likely to pair stories and commercials in the same newscast. In recent weeks, I've seen a cheery piece on a resurgence in canned Spam's popularity during times of soaring food costs. The very next commercial break just so happened to have a Spam ad. In another instance, a "staycation" story focused on the heavy traffic at Grapevine's new and sprawling Great Wolf Lodge. The very next commercial break just so happened to have a Great Wolf Lodge ad. Maybe these are both just coincidences. Rowlett at least isn't flatly endorsing products yet. But former WFAA8 weatherman Troy Dungan certainly hasn't wasted any time. His pop-up ads for an air-conditioning company lately have been playing in rotation on WFAA.com. He's also the on-air spokesman for a foundation repair company whose commercials have made the rounds on WFAA8's Daybreak and other programs. In an earlier era, former WFAA8 anchor John Criswell did home security system endorsements while still working full-time at the station. WFAA8 quickly put a stop to that after a certain former Dallas Morning News TV critic wrote about it during times when the paper actually allowed such reporting on a fellow Belo Corp. employee. Will Shale.TV end up being a far more insidious sales job using Rowlett as point man? And even if it is, will the audience amount to more than a sand speck on a beachhead? "I guess the best way to put it is the proof will be in the pudding," Rowlett says. "If people will just give us an opportunity, they'll see that what we'll be doing is good, objective reporting." So far that's all talk. Rowlett, Sparks, Talley and any other conventional journalists who might join them will be squarely behind a perception 8-ball. And that's exactly as it should be. From this day forward, they've got a lot to prove. And for now, Riggs' cautionary words are reverberating with more force than theirs. "Chesapeake alone appears to be doing a highly effective job of creating 'warm and fuzzies' that it is a good corporate neighbor with which to do business," Riggs says. "Bringing on a team of former journalists gives Chesapeake great credibility with the public." Note that he said "former journalists." Shale we dance? In a stunning and abrupt move, CBS11 anchor Tracy Rowlett has decided to opt out of an existing contract and become anchor and managing editor of the new Shale.TV, an online video channel scheduled to be launched this fall by Chesapeake Energy Corporation. Shale.TV will be a vehicle to discuss production of natural gas in the Barnett Shale and other natural gas shale throughout the country, Chesapeake said in a statement. Viewers of conventional broadcast TV already have been bombarded with commercials using actor Tommy Lee Jones to tout the benefits of the Barnett Shale. Rowlett, who signed a two-year contract extension with CBS11 in November of last year, said in a telephone interview that Chesapeake first approached him about a month ago. Maintaining his journalistic integrity in the new venture is the overriding concern, he said. "I guess the best way to put it is the proof will be in the pudding," Rowlett said. "If people will just give us an opportunity, they'll see that what we'll be doing is good, objective reporting. Chesapeake is just the sponsor, and there's nothing truly different about having a sponsor in news programming. I really won't be answering to Chesapeake. They have already said we'll have full editorial control." Rowlett said that Shale.TV will be "all things shale. And we probably haven't had a more important economic engine than the Barnett Shale in this area since cattle. We're going to do stories that will cover the gamut, and we will invite negative opinions. We'll have a full and frank discussion. I just want people to see what we're doing before they judge us." CBS11 president and general manager Steve Mauldin "couldn't have been kinder and more gracious" in letting him out of his contract, Rowlett said. "And if this somehow doesn't work out, he said I'd be welcome to come back." After Chesapeake's announcement, CBS11 said it will air a Rowlett "retrospective" Friday during his final appearance at the station as co-anchor of the 5 p.m. newscast. It will be repeated on that day's 6 and 10 p.m. newscast, the station said. "Tracy is a consummate professional and a good friend," CBS11 president and general manager Steve Mauldin said in a statement. "We will miss working with him, but we wish him all the best as he embarks on this new chapter of his life and career." Rowlett joined CBS11 as the station's principal anchor in April 1999 after a quarter-century as a star anchor at WFAA8. 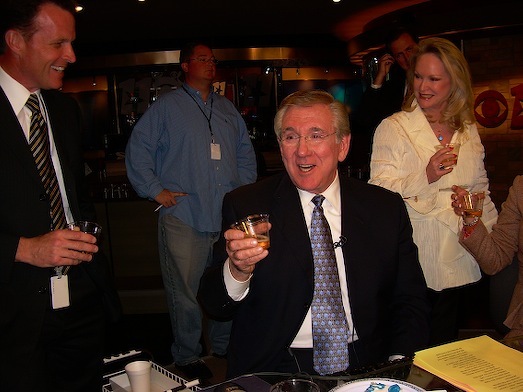 He anchored CBS11's 10 p.m. newscasts until March of 2007, when Doug Dunbar succeeded him. Rowlett had planned to retire from the station in July of last year, but instead signed a two-year extension last November. "This is an exciting time at CBS11," he said at the time. "And I'm looking forward to being here when the station emerges as number one in the market." That never happened, although the station now ranks No. 2 at 10 p.m. in the total household rankings after overtaking NBC5 in the May "sweeps" ratings period. Chesapeake also announced the hiring of D-FW television news veteran John Sparks as senior producer of Shale.TV. Sparks worked at CBS11 until a recent corporate-mandated downsizing dealt him out. Also joining Shale.TV as executive editor is Olive Talley, a former reporter for The Dallas Morning News who also has been a producer on NBC's Dateline and ABC's PrimeTime Live. She was instrumental in urging Rowlett to come aboard. "I think we're creating something that is new and cutting edge," she said in a telephone interview Thursday. "There's plenty of controversy and plenty of depth to be talked about . . . I don't think there's anything out there that's going to be like this. And frankly, we're still creating it." Talley said that Slate.TV might put on as much as three hours of new programming per night, with viewer call-ins included. "This is not a corporate promotion or public relations initiative," said Julie H. Wilson, vice president of corporate development for Chesapeake. "We have heard repeatedly and consistently from residents, critics, supporters . . . about the lack of consumer-friendly educational information available to the public about issues and opportunities related to natural gas drilling, production and pipelines, particularly as they relate to an urban environment." Airline and fuel prices got you down? Feel like you're in a rut? 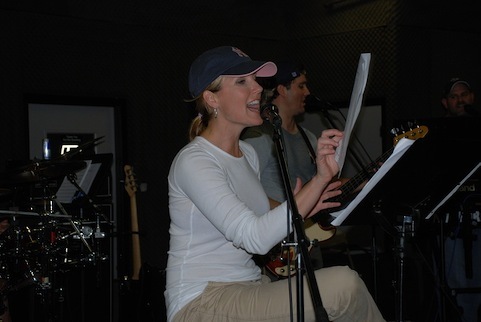 Then stay close to home and motor over to the first "American Bandstand" edition of the Uncle Barky Show, with TXA21/CBS11 anchor Tracy Kornet (above) leading the vocal charge with members of the Eleven21 band. Kornet and mates Tommy Hiett (lead guitar), Richard Frish (saxophone) and True Tidwell (keyboards) will perform a half-hour acoustic set at our usual venue, Stratos Global Greek Taverna, 2907 West Northwest Highway. Admission is free, with great food and drink specials readily at hand. 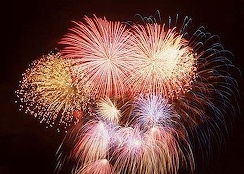 Show time is 4 p.m. on Saturday, July 19th. All of the accomplished band members otherwise are TXA21/CBS11 staffers, with lead vocalist Kornet also co-anchoring TXA21's prime-time newscasts and CBS11's 4 p.m. editions. After the concert we'll interview them about their dual careers and as always take your questions. Expect to hear a cool selection of rock, R&B and soul from the '70s, '80s and '90s. The best part is Stratos' ongoing generous contributions to the guests' designated charities. The Eleven21 band has selected Happy Hill Farm of Granbury, TX, whose mission is providing specialized help to children who "need another chance in life." So far a total of $3,500 has been donated by Stratos to North Texas charities. Our guests for the first five Uncle Barky Shows, which began in December, have been "Ticket" radio personality Gordon Keith; CBS11 anchor Tracy Rowlett; Fox4 Good Day anchors Tim Ryan and Megan Henderson; Dallas documentary filmmakers Mark Birnbaum and Manny Mendoza; and WFAA8's Dale Hansen and Pete Delkus, respectively the stations' sports and weather anchors. Here are thumbnail sketches of the other Eleven21 band members performing at the Uncle Barky Show. True Tidwell -- She's helped light the fires of bands and singers ranging from Bloodrock and The Oak Ridge Boys to B.J. Thomas and Sammy Kershaw. Richard Frish -- He's had sax with a number of prominent acts, including The Dixie Chicks, Lee Ann Rimes, The Gatlin Brothers and Jack Wagner. Frish also was part of the original cast of Beatlemania. Tommy Hiett -- He's electrified audiences while playing with Elton John and Huey Lewis. 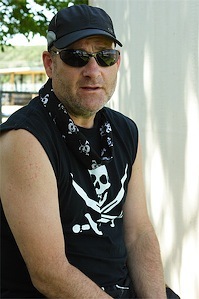 Hiett also has opened for Cheap Trick and The Motels, and headed his own band, Tommy Hiett and the Haywires. So c'mon out and support another worthy charity and D-FW's only homegrown TV Web site, unclebarky.com. Your attendance is greatly appreciated and of course is also instrumental in keeping these shows going. Personnel matters are like beehives at TV news operations. No one in management wants to go near them. Nor do the anchors and reporters under scrutiny. This time it's CBS11/TXA21 playing hard to get. "We're not going to discuss the status of any personnel contracts," communications director Lori Conrad said in an email reply sent late Tuesday morning. News director Scott Diener also has declined to comment. So we're going to go with what we know based on reliable, trusted sources who for obvious reasons don't want to be identified. Item 1 -- As recently posted by Pittsburgh Post-Gazette TV critic Rob Owen, CBS11 early morning meteorologist Julie Bologna is rumored to be returning to Pittsburgh after her contract expires this month. She joined CBS11 in July 2004 after a five-year stint at NBC affiliate WPXI-TV in Pittsburgh, where she took temperatures on the morning and noon shifts. Owen speculates that Bologna now might join rival ABC station WTAE-TV, which has a position open and is battling WPXI for early morning ratings supremacy. Meanwhile in D-FW, CBS11's 6 a.m. news continues to run a distant fourth while rivals Fox4, NBC5 and WFAA8 jockey for first place. "I will say, on the record, 'No comment,' " Bologna said at mid-afternoon Tuesday, a telltale sign that something is in the works. CBS11 and TXA21 have six weathercasters on their payroll, and presumably could afford the loss of Bologna. Should she opt to leave, her most likely early morning successor would seem to be the very capable Jeff Jamison. Meanwhile, Owen says that Bologna "might win over some viewers" for WTAE, "especially guys, who always loved to ogle Bologna and then write about it on local chat boards." There's been no overt ogling of her in these parts. Item 2 -- Sources at CBS11/TXA21 say that anchor Kenneth Taylor's contract won't be renewed after it expires this summer. Taylor came to D-FW in the summer of 2006 to co-anchor TXA21's new prime-time newscasts with Tracy Kornet. Lately, though, he's been working weekends, with Chris Salcedo stepping in to co-anchor the weekday 7 to 9 p.m. broadcasts. Item 3 -- NBC Universal's weekend purchase of The Weather Channel has prompted CBS11/TXA21 management to order the removal of all on-air and online references to its now former "content partner." The Weather Channel's alliance with the two stations dates to June 2007. CBS11 and TXA21 sometimes used Weather Channel reporters for live dispatches from big storm "events" outside North Texas. Now all that's left is a cold front, even though Conrad says that "our partnership with them still exists." 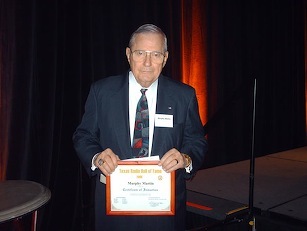 Murphy Martin at 2006 Texas Radio Hall of Fame induction and as a network and local TV anchor who had three stints at WFAA-TV. Television-radio news stalwart Murphy Martin, also known to many as the longtime stadium voice of the Dallas Cowboys, died late Thursday night just shy of what would have been his 83rd birthday. Martin was one of the earliest news anchors at WFAA-TV (Channel 8), joining the station in 1961 and leaving in February 1963 to become ABC News' first latenight news anchor. He also was the signature voice of ABC News radio and did extensive reporting from Dallas after the assassination of President John F. Kennedy. Martin also anchored at the network's flagship station in New York, WABC-TV, where his sports guy was an up-and-coming Howard Cosell. Martin returned to WFAA in 1968, teaming with Bob Gooding until 1970 before taking a leave of absence to help Ross Perot in his efforts to free U.S. prisoners of war still being held in Vietnam. 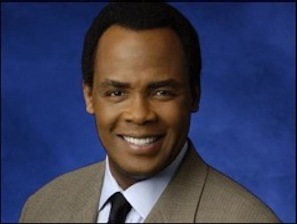 He rejoined WFAA in 1972 and remained with the station for another three years. John Sparks, who produced Martin's newscasts during his last stint at WFAA, described him Friday as a "consummate professional, dedicated to accuracy in his profession, and a loyal and trusted friend." Martin formed his own television consulting business in 1975 and also became the stadium voice for the Dallas Cowboys, a post he held for 24 years. He rejoined Perot in 1992 during the Dallas billionaire's run for the presidency. In November 2006, he was inducted into the Texas Radio Hall of Fame. Martin made a big impression on the late Peter Jennings during his formative years at ABC News. On a Sept. 14, 2000 edition of CNN's Larry King Live, Martin phoned in while the host was interviewing Jennings about his latest prime-time news special. Jennings immediately recognized the voice, and told King, "I remember coming to ABC when I was very young, and Murphy Martin had a voice that practically ran you off the block." Martin got his start in TV news as the first anchor at KTRE-TV in his native Lufkin, TX when the station inaugurated local newscasts in 1955. 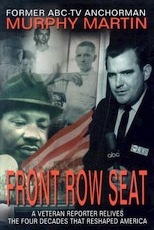 His 2003 book, Front Row Seat, recaptured a 40-year broadcast news career. He continued to write opinion pieces on his own Web site through late last year. 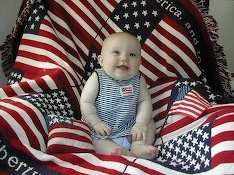 A safe and happy Fourth of July to the growing unclebarky.com nation! Refreshments are served inside, including chapter and verse on a new Lost book club, a holiday celebrity birthday straight from the vaults and the latest D-FW Nielsens. We'll also have news soon on the next Uncle Barky Show, set for July 19th. It'll be a fun, different and breezy summertime diversion. And as always, a worthy charity will benefit, thanks to our host, Stratos restaurant. Tracy Kornet gets out from behind her TXA21 news desk to again sing with a passion. Read behind the lyrics here.